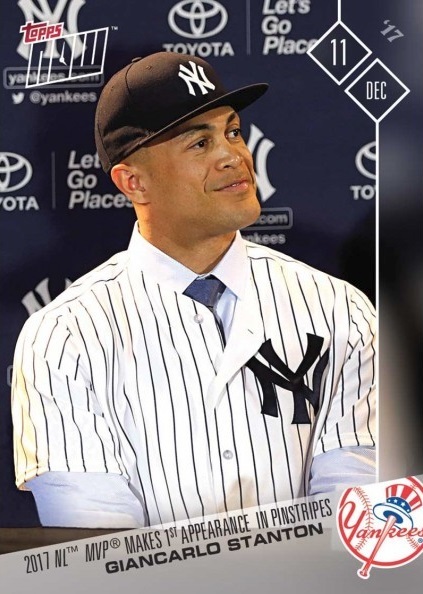 This is the first official Topps card of Giancarlo Stanton in a New York Yankees uniform. According to Topps, only 2,836 of these cards were made. 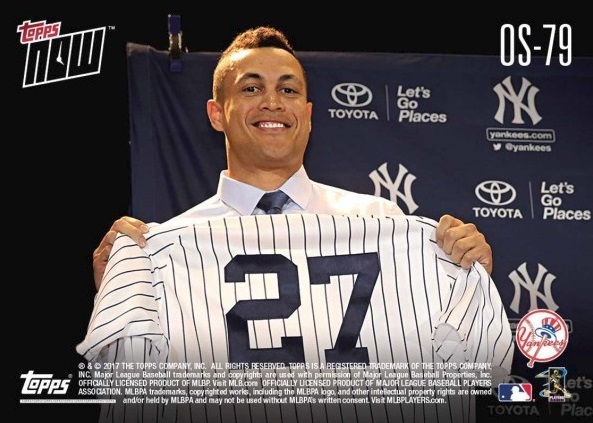 2017 Topps Now #OS-79 - Only 2,836 made!